Designer Patricia Hall wrote: ” The repetitive motion of the crochet hook and the feel of the yarn and watching it take form soothes the stress of life.” Thank you Patricia for joining the Dishcloth-A-Day Challenge! 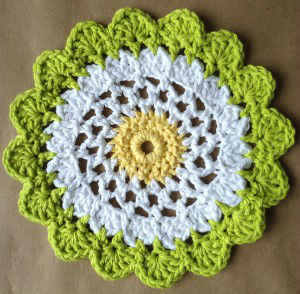 The Moonflower Crochet Dishcloth is now available in the Sunny Days Crochet Pattern Set. 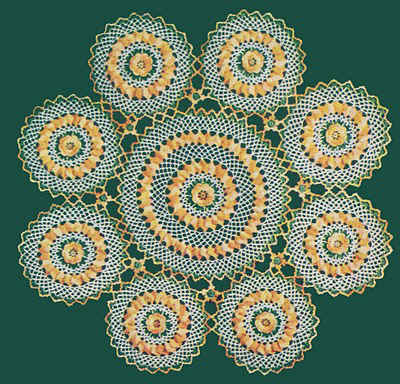 I have been a fan of Maggie Weldon for a long time and own and use so many of her patterns They are timeless. She is so generous to make all of these adorable patterns available to us.Now she has added all of these other avenues for learning to the public is such a nice thing. 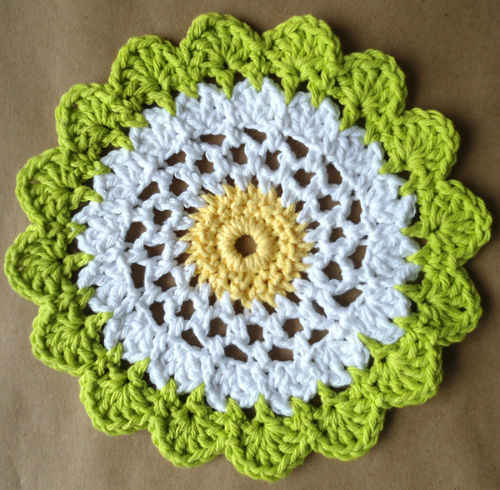 Patricia Hall has hit the nail on the head with this pattern and I could not agree with her more on how crochet adds to lowering your stress.Thanks for sharing you talents.